Oh, people. Brace yourself for some serious cuteness. Would you expect anything less from a book called The Great Puppy Invasion? This book was written by Alastair Heim and illustrated by Kim Smith. What’s a town to do when not one, not two, but hundreds of adorable, wriggling puppies invade? This is especially a problem in Strictville, where no one has ever seen puppies before. And where there are rules against such things. In fact, cuteness of any kind is considered downright criminal. But one boy is brave enough to face the adorable doggies, and he just may turn things around for this narrow-minded town. A true treat for the funny bone! I was lucky enough to meet Alastair Heim in the summer of 2017, but my luck improved in 2018. I actually got to hang out with Alastair thanks to the OTA/EncycloMedia Conference. During this conference, I had the chance to hear him give a presentation on what makes The Great Puppy Invasion a good read aloud. I loved Alastair’s talk more than I love puppies which is saying A LOT. I thought the Picture Book Builders crowd would benefit from this information as well, so I asked Alastair if he’d be up for visiting. He said YES. Welcome to Picture Book Builders, Alastair! Thank you so, so much for having me, Tammi! It was awesome to get to hang out with one of my favorite picture book authors (i.e. you) at OTA/EncycloMedia. The idea for The Great Puppy Invasion actually came to me when I happened upon a piece of art in a building where I work. It’s a small sculpture of five Dalmatian puppies stacked on top of each other “cheerleader pyramid” style. I was looking at the piece, one day, and thought to myself, “why would there be so many dogs stacked on top of each other like that?” The answer immediately popped into my brain: “Hundreds of puppies suddenly show up in a town that has never seen puppies before!” The book title hit me like lightning and I went home that evening to start writing the manuscript. This story was SO much fun to write, purely because of just how ridiculous puppy behavior is when you really stop and think about it – especially if you’re someone who has NEVER seen puppies before. 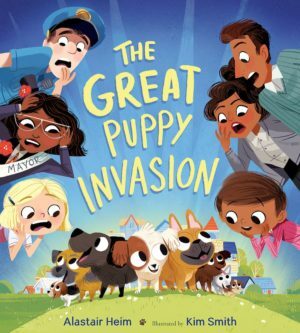 Congratulations on The Great Puppy Invasion making the 2019 Redbud Read-Aloud Masterlist! The best part about this list, in my opinion, is that it recognizes picture books that offer opportunities for wonderful, shared experiences between readers and listeners. Picture books, after all, are meant to be read aloud. Thank you so much and congrats to you, too, on Wordy Birdy’s inclusion! There are a lot of awesome books on the list this year and I am thrilled and honored to have The Great Puppy Invasion alongside them. Reading books aloud to my own kids was the exact thing that inspired me to start trying to write picture books ten years ago, so being on this list means the world to me. Please list five of the many ways that The Great Puppy Invasion works well as a read-aloud. I think studying these aspects of your book will help the rest of us as we strive to write great read-alouds, too. First and foremost, the book is filled to the brim with cuteness. It’s almost too much cuteness. Kim Smith did an amazing job with these illustrations and we couldn’t be prouder of how the book turned out. Again, I can’t caution you enough about the cuteness…you’ve been warned! The puppy-related humor in this book is pretty fun and ridiculous, too, which offers the reader the chance to really ham it up. For instance, there’s a moment early on where the townspeople try to rid themselves of the puppies by throwing sticks at them. But as WE all know, puppies like to play fetch with sticks, so they end up bringing the sticks right back – much to the bafflement of the people who have never seen puppies before. When I write, I love accentuating with alliteration a lot (see what I did there?). There are places all throughout this book where the publisher encouraged me to punch up the alliteration, which I did – making for a more dynamic read-aloud experience. The townspeople’s dialogue is illustrated with word balloons throughout the book, which gives the reader plenty of opportunities to come up with their own silly and serious voices for each character. I try to come up with new voices every time I read it aloud – which gets pretty silly from time to time…especially when I accidentally give one of the grown men a high-pitched kid voice (which happens a lot). There’s a super-secret twist at the very end of the book (on the very last page) that always gets a great reaction from the kids who don’t see it coming (wink, meow, wink.). Bonus Reason: Did I mention the cuteness? Don’t expect the first, second or even tenth story you’ve written to be the one that gets published. I have a lot of pre-published writers tell me they have an idea for a picture book and my response is always, “Just one?” For those writers trying to break into the traditional picture book market through a literary agent, I always suggest that you have five to ten manuscripts ready to go before even attempting to query an agent. The reality is that every agent on the planet has multiple clients and a limited amount of time to dedicate to each one. So, the more he or she can count on you to bring new (and good) ideas to the table, the more likely they are to want to invest in representing you. If you have one idea for a picture book, good! Now, put that one aside, come up with five more ideas and start working on those, too. 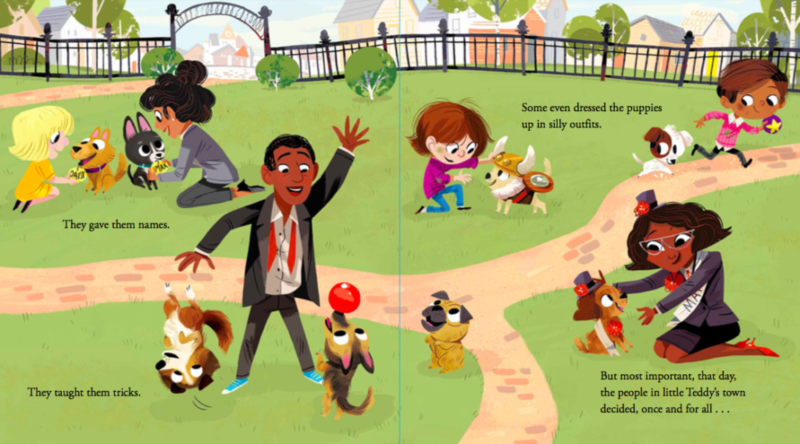 I recently found out that there’s going to be a board book version of The Great Puppy Invasion, too! It publishes on August 6th, 2019. After that, my next book arrives sometime in 2020 and I’m not legally allowed to reveal the title yet. However, I can tell you that it’s a very fun read-aloud about an elephant who isn’t a fan of loudness. So, in the meantime, I’m focused on book events, school visits and interviews with awesome people like you guys! Alastair Heim is the author of the picture books Love You, Too (Little Bee Books –2016), No Tooting at Tea (Houghton Mifflin Harcourt/Clarion – 2017), The Great Puppy Invasion (Houghton Mifflin Harcourt/Clarion – 2017) and Hello, Door (Little Bee Books – 2018) which was recently chosen as one of The New York Public Library’s Best Books of 2018. He lives in Kansas City with his awesome wife and three incredible children who inspire him every single day. 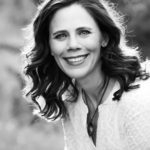 Alastair is represented by Kelly Sonnack of the Andrea Brown Literary Agency. 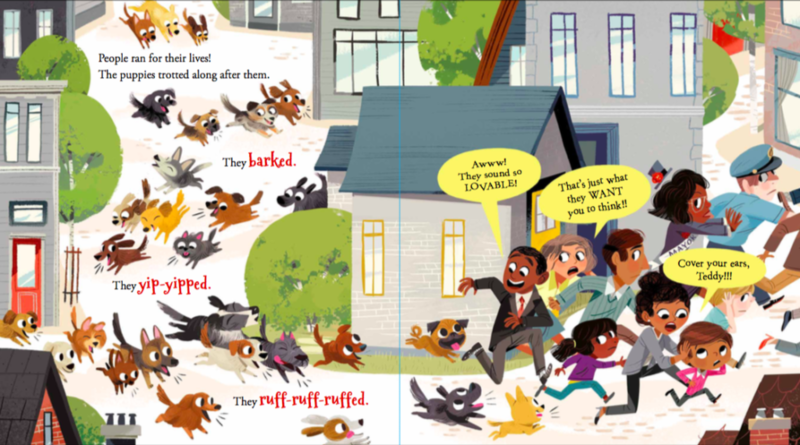 Puppies are about to invade Picture Book Builders! Alastair is giving away three(!!!) signed copies of The Great Puppy Invasion. For a chance to win one of them, just leave a comment on this post. For another chance to win, please share the post on Twitter, tagging @alastairheim and @SauerTammi. Great interview about a fun, fresh book, Tammi and Alastair! I look forward to reading your upcoming release, Alastair. Thanks for visiting Picture Book Builders, Brenda! “The Great Puppy Invasion” looks like it will give the hard-hitting truth about puppies, and I look forward to that! Great interview and advice for writers. Best of luck with the adorable book! Thevks for visiting Picture Book Builders, Katie! Thanks for this enlightening post. I look forward to reading it! Best! This book looks like so much fun. I can see my five year old son laughing at this one. Can’t wait to read it! This sounds terrific and I can hear the different voices just by the samples you’ve shown…Cover your ears Teddy….too funny. Congrats on what looks like a great book! Thevks for visiting Picture Book Builders, Cindy! Sounds like a whole lot of fun my granddaughters would love! OMG, this book seems so adorable I cannot wait to get my hands on a copy! Congrats on all your successes! Thevks for visiting Picture Book Builders, Debra! Oh! This book looks like so much fun!!! Can’t wait to add it to our library collection!! 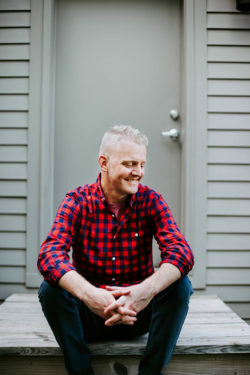 Great interview and tips on focusing on providing a fun read-a-loud experience. Very inspiring and fun! Love Alastar’s sense of humor! This is one of my favorite books! The last time I checked it out from the library, I renewed it twice and still had a hard time returning it. great advice!! great read aloud points!! and I totally adore alliteration too as a writer and a reader. Thevks for visiting Picture Book Builders, Beth! One of my favorite picture books to read to kids! This book overflows with cuteness and humor- happy to hear it will be a board book too! Thanks for a great interview. Thevks for visiting Picture Book Builders, Lisa! Thevks for visiting Picture Book Builders, Brian! I wood love to be invaded by puppies and this book. Fun interview and now I’m overwhelmed w/cuteness. Congrats to you both on the Red-bud Read Aloud Awards! How wonderfully fun! I can’t wait to read it. This book is such a fun read! I really enjoyed it! Oh my goodness…I can hardly stand the cuteness! Can’t wait to get my hands on this one! I loved the interview! My students would love this book. Thevks for visiting Picture Book Builders, MJ! Oh hooray! This is one of my absolute favorite picture books. I would swoon over owning a signed copy!!!! I’m so glad you’re a fan! Who wouldn’t want a copy of cuteness!! for making the 2019 Redbud Read-Aloud Masterlist! What a fun interview and a great idea for this cute book. Thevks for visiting Picture Book Builders, Jesse! Thank you for the interesting interview. I look forward to reading it and imagining puppy breath. Thevks for visiting Picture Book Builders, Kay! Love this book! 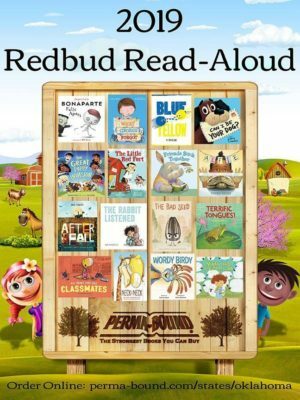 Congrats to to Alistair and you, too, Tammi on making the Redbud Read-Aloud List! Thanks for sharing the tips on what makes a story a great read-aloud. Thevks for visiting Picture Book Builders, Judy! What a winning combo with Alastair and puppies. The cuteness level is off the charts. Add a kitten and it would be a purrfect book! What fun to envision an invasion of pups to a town that’s never seen them. Seems like a fresh, and funny, take on the dog story. 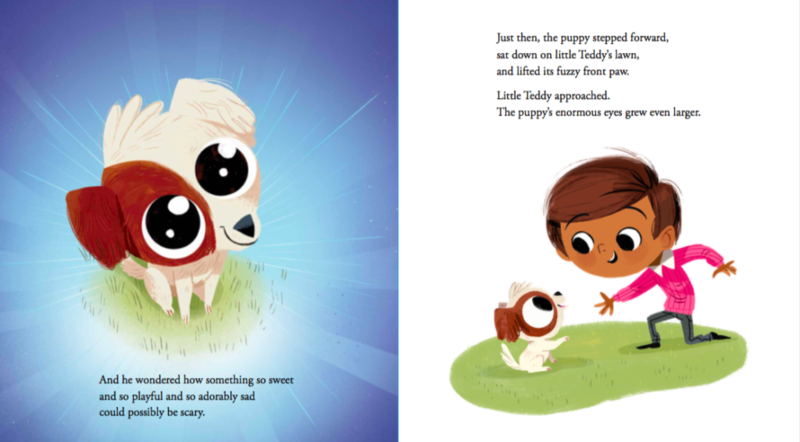 This book looks adorable and you can never go wrong with puppies! These pages are adorable! I’m sold and am making a special trip to the bookstore to check out that surprise ending. I especially love the cute cadence of “They barked. They yip-yipped. They ruff-ruff-ruffed.” Thanks for sharing! What an adorable book! I want to read it aloud to a group of kids so we can all laugh ourselves silly. If there is an invasion of any sort – puppies would be the best! This book is a favorite at my house! I can’t wait to read the Great Puppy Invasion! What could be better than lots of puppies!! This is a fun book! So much puppy-related goodness. A great Puppy Invasion is the stuff of dreams! This looks like a fun book, I can’t wait to read it! This looks like so much fun! I love an unexpected ending to any story, and look forward to reading/seeing this book. Congratulations.